Are you looking to replace missing teeth? 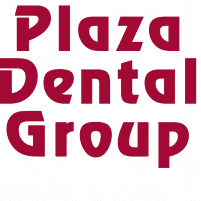 The expert team at Plaza Dental Group in Ventura, California, provides dental implants to fill gaps in smiles and deliver game-changing cosmetic results. Dental implants support healthy looking prosthetic teeth that look, feel, and function like natural teeth. To schedule a consultation for implants, call the office, or use the online booking tool today. Dental implants are small metal posts or frames that support prosthetic teeth. Your dentist surgically inserts implants directly into your jawbone. The implant naturally fuses to the bone over time and is then able to support a replacement tooth. Once you decide on implants, your dentist at Plaza Dental Group evaluates your jawbone to make sure it’s strong enough to support an implant. If your jawbone is too thin, your dentist can graft bone-like material where it’s needed. Your dentist uses a special oral surgical drill to insert the implant into your jawbone. Over the course of a few months, the implant melds to your jawbone during a process called osseointegration. Once the implant fully heals, you return to the office for a follow-up appointment. Your dentist then attaches the replacement tooth to your implant. Dental implants represent the gold standard in tooth replacement options. They provide excellent support and stability for prosthetic teeth, ensuring your new replacement teeth don’t slip or slide around inside your mouth. Getting dental implants for missing teeth provides cosmetic and oral health benefits. Besides enhancing your smile, filling gaps in your teeth also prevent teeth from shifting over, which can lead to an increased risk of decay or bone loss. Implants are also highly durable and offer a long-lasting solution to missing teeth. As long as you take good care of your dental implants, there’s virtually no reason they shouldn’t last a lifetime. That means brushing and flossing diligently and maintaining a good diet. However, as you age, your mouth naturally changes, so it’s important to come in for regular checkups. This allows your dentist to monitor the wear-and-tear on your implants so that they can make the necessary adjustments from time to time. If you’re interested in learning more about dental implants, call Plaza Dental Group, or use the online booking feature today to schedule a consultation at the office.